Sealcoating is a low-cost means of protecting your property. Every asphalt parking lot eventually endures wear and tear from rain, sun, traffic, and other sources. This pressure causes cracking, potholes, and other unsightly flaws. These flaws are more than aesthetic blemishes. They threaten the integrity of your Tampa parking lot. Your lot needs sealcoating to remain in elite condition across posterity. Sealcoating will prevent costly repairs, maximize the lot’s lifespan and ultimately save you plenty of money. Though Tampa doesn’t receive snow or ice, we certainly get our fair share of rain and sun. The pounding rain combined with the sun’s powerful UV rays are a threat to the integrity of your Tampa parking lot. Sealcoating safeguards the parking lot’s binder against rapid deterioration. It blocks out those threatening elements to prevent potential damage that would eventually put the integrity of your Tampa property at risk. 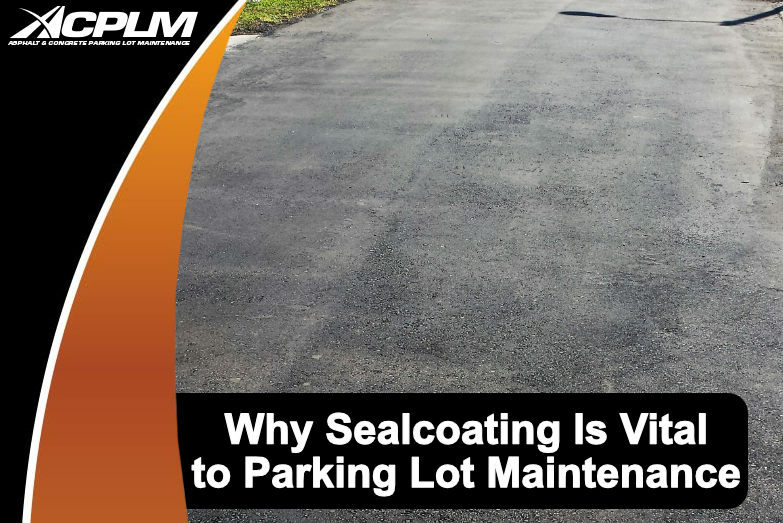 One of the best reasons to sealcoat Tampa parking lots is to improve appearance. Parking lot beauty matters a great deal. A sealcoating provides your Tampa parking lot with a lovely black finish. It conceals those aesthetic shortcomings that would otherwise stick out like sore thumbs to customers, visitors, prospective business partners and others. These are the subtleties that shape the perception of your business. People really do notice the details when they pull into your Tampa parking lot. If it is damaged, people will think less of your company. Sealcoating even improves the safety of your Tampa parking lot. Every business owner should be concerned with the slip resistance of his or her parking lot. A slippery surface creates the potential for customers and others to slip and fall. If such a fall occurs, your business could be sued for negligence. This legal term refers to a person or institution’s failure to provide due care for others. The last thing you need is a lawsuit to zap your profits or possibly even put you out of business. Have your Tampa parking lot sealcoated and it will be that much more slip resistant. Sealcoating helps prevent cracking, potholes and other problems. It even guards against gas and oil spills to boot. Have your Tampa parking lot sealcoated and you will end up saving thousands of dollars on new pavement construction. This coat really does maximize protection for the long haul, boosting the longevity of your Tampa parking lot well beyond your initial expectations.